Join Nate and Cooper Rooks, aka: Team Bunny Whaler, for a multimedia presentation that takes you on an adventure through the Inside Passage. 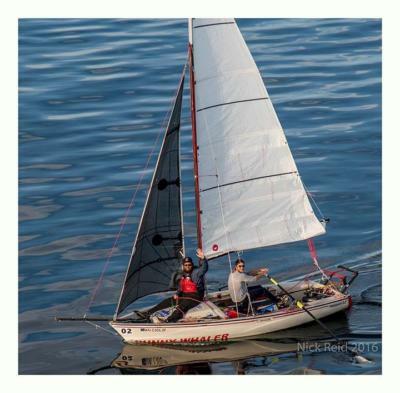 In 2016, the two brothers from Bainbridge Island took to the water in their modified open Boston Whaler sailboat to compete in the second annual Race to Alaska, a boat race from Port Townsend to Ketchikan, Alaska, through the Inside Passage. The race has just two rules: vessels cannot be motorized and racers must rely only on themselves for repairs and supplies. During their 24 days of racing they experienced gales, torrential downpours, spirit-crushing calms, and mental breakdowns. But they also made many new friends, went bowling in an isolated, dilapidated cannery, and had the adventure of a lifetime!